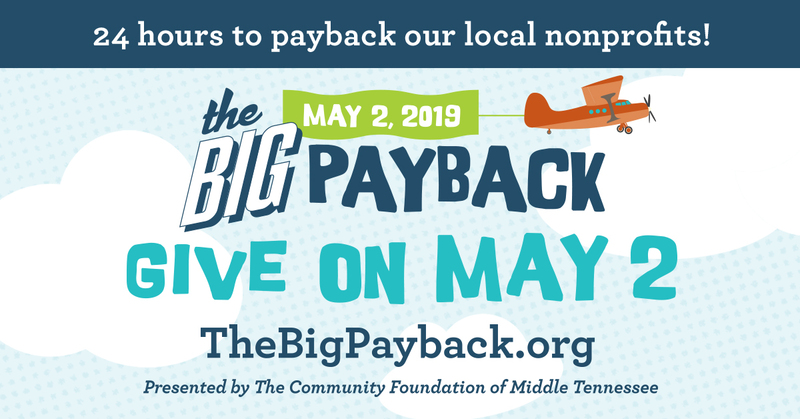 The Community Foundation announces The Big Payback Video Contest. The top three video entries receiving the most votes per unique user will be interviewed by NewsChannel 5 via their Facebook Live videocast reaching a potential 740,000 viewers on May 2. The interview will take place at The Big Payback's Plaza Party hosted in partnership with the Nashville Predators Foundation on Bridgestone Arena's plaza.